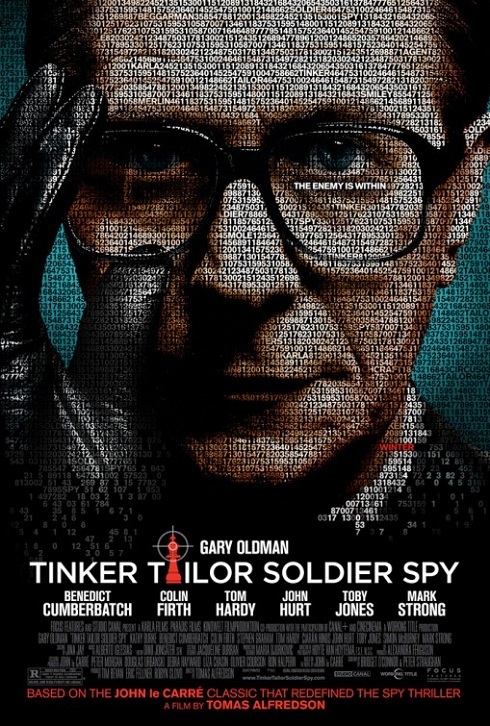 Tinker Tailor sits firmly on the side of the classic espionage thriller, the kind which does not rely on impressive stunts, nifty gadets or breathtaking explosions to carry the story. Popular mainstream spy films, like the MI franchise and others of its ilk (Looking at you Bond, Bourne) often appear far more interested in the trappings of spycraft than the people who perform it, or the often boring particulars of how they do their jobs. (I imagine it’s a lot more talking than car chases for those folks, most days.) Conversely, Tinker Tailor, as a film, feels a bit like watching a stage play – a good two thirds of it is comprised of various combinations of men sitting in variety of dimly lit rooms and talking, but it’s just as riveting as if things were exploding throughout. It does require you to really pay attention to the many twists, turns, and seemingly throwaway moments that turn out to be anything but. The film is based on John le Carre’s 1974 novel of the same name, which was also turned into a very popular six-hour BBC miniseries starring Alec Guinness. (Personal aside: I’ve just gotten a coyp of this and can’t want to watch it.) The film’s premise is deceptively simple: it’s the height of the Cold War and there’s a Soviet mole/double agent operating at the highest levels of British intelligence. Gary Oldman plays master spy George Smiley, whose job is it to sort through the Who’s Who of British character actors that comprise the rest of the cast and determine which of them is passing secrets to the Russians. If you’re curious about the specifics, click through for my take on the film’s highlights and occasionally problematic areas. 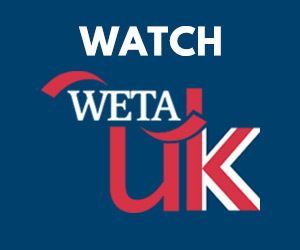 If you’ve seen this – what did you think? Leave your thoughts in the comments.. There are a lot of things to recommend this movie – but the biggest plus is the acting. I can’t remember the last film that had this many fantastic performers together just knocking it out of the park. This is, hands down, the best film role Gary Oldman’s had in years, and he takes it and runs with it spectacularly. It’s understated performance that is somehow simultaneously sly, cold, frighteningly intelligent, and oddly heartrending at the same time. He deserves an Oscar nomination, though it’s looking doubtful he’s going to get one. Among a group of performers that is this accomplished, it’s strange to say that his performance elevated everyone else’s, but it’s true. Every other actor’s best scene in the film is the one(s) they share with Oldman. It’s a fantastic performance. The supporting cast is superb. They’re all excellent, but Colin Firth, John Hurt, Mark Strong, and Sherlock’s Benedict Cumberbatch deserve to be singled out particularly. Especially Cumberbatch, who gets one of the film’s most tense and memorable scenes (involving smuggling documents out of an library), and is really wonderful opposite Oldman. This is a movie as much about personal relationships as it is about international espionage. Yes, one influences the other, both positively and negatively, but it’s the characters, their interactions and their histories with one another that drive the story, as much as any of the events they are involved in. This film is gorgeously directed. Director Tomas Alfredson does a wonderful job establishing a strong sense of atmosphere. There are lots of shadows, muted lighting, rooms filled with smoke, an almost palpable sense of paranoia on all sides. Alfredson gets the tone of this film pretty much perfect – it looks, sounds, and feels exactly right. The plot deftly walks a line of almost-but-not-quite being too complicated for its own good. This is not that surprising, given how much material had to be compressed and stuffed into a two-hour time frame, but it can get confusing trying to keep all the second and third tier characters straight when we’re not always sure exactly what their names are. Personally, I’d like a second viewing to sort all the knots out and connect all the dots I missed the first time round. Flashbacks, particularly to an eventful Christmas party, are prevalent – and while they provide a great deal of emotional development for all the characters, along with several vital clues to the central mystery, the back-and-forth maneuvering through time can feel tiresome. The main suspects of our plot – Tinker (Jones), Tailor (Firth), Soldier (Ciarán Hinds) and Poor Man (David Dencik) are all wonderfully acted, but could use some more screentime. Somehow, I felt the lack of Hinds most keenly – he, as do his castmates – does well with what he’s given, but he’s capable of so much more. If you’re unfamiliar with Cold War history and/or the relationships between Britain, Russian, and America during this time period, you may feel a bit like you’re struggling to catch up. Though Tinker Tailor has been in limited release the two weeks, it’s actually achieving decent box office numbers – its first weekend in New York and Los Angeles, it averaged over $75K per theater in just four locations. I saw it at the Landmark E Street Cinema here in DC – known for its dedication to artsy and/or indie fare – and it sold out every show that day. In our area, you can catch Tinker Tailor at either at E Street or Bethesda Row, though word on the street is that the film will have a full nationwide wide release on January 6, so you’re likely to get more options then. And though it’s early days, there’s already talk about the possibility of a sequel, an adaptation of another La Carre novel, Smiley’s People. There are certainly enough characters introduced in Tinker Tailor to populate another film in the same universe. And I’d watch it for sure!